Do woebegone Losties give Abrams an earful about the finale? WTF? He thinks we’re pissed off because the series ended? And no one has ever held his attention long enough to explain just what it was that really annoyed us so much about the whole last season? Seriously? I’m not the one to explain it, but honestly, I don’t think it’s all that hard. We weren’t demanding that the whole series be wrapped up in a nice, neat bow, but we were hoping for at least most of the major plotlines to be resolved. We were hoping for at least most of the major mysteries to be explained. We were hoping that at least the whole thing didn’t turn out to be a St. Elsewhere style fantasy world. And we were sure as hell annoyed when they pretended they had run out of time to tie this stuff up after wasting the entire first half of the final season with a brand new plotline that came out of nowhere, went nowhere, never got resolved, and had no purpose at all. 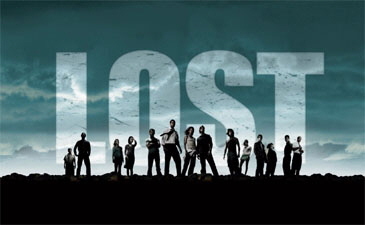 I was sort of hoping never to hear about Lost again. The contempt the creators showed for their audience pissed me off, as did having to concede victory to all the critics who kept saying the show runners had no idea what they were doing. But this is just too much. Abrams has no clue why so many fans felt cheated by the whole thing? Spare me. POSTSCRIPT: Here’s a question: has any show that generated such enormous buzz and such intense fan loyalty ever dropped out of sight so fast? About a week or two after the finale, it just disappeared and no one ever mentioned it again. I wonder what Abrams makes of that? Or is he still waiting for some fan to provide him with an ending to his own story? POSTSCRIPT 2: On the other hand, I’m grateful for the chance to write about something other than the debt ceiling. Thanks, JJ!